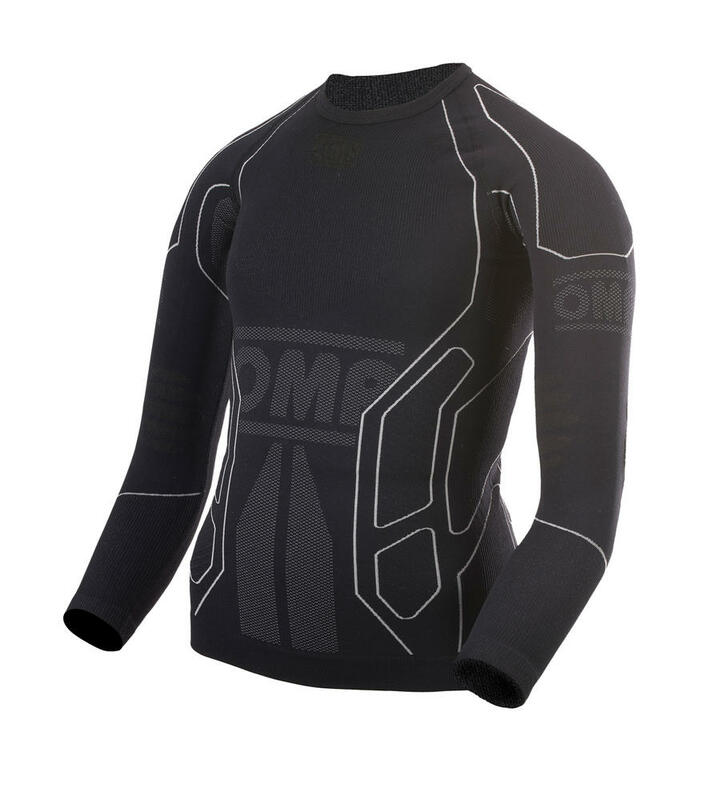 This long sleeved top is made with seamless 3D technology, and it’s designed to perfectly adhere to the body. Maximum comfort and freedom guaranteed. The peculiar 3D manufacture is conceived to maximise sweat expulsion. Honeycomb inserts are located in the most critical perspiration points and help eliminate bacteria that cause bad smell. The Q-Skin material is an Italian trademark and guarantee of quality. Specifically, Q-Skin is an antibacterial microfiber with silver ions; it takes care of the skin, offering transpiration, thermoregulation, hygiene and comfort. All this creates an healthy micro-climate that allows the skin to stay warm in the winter and fresh in the summer, and always dry. Insulation capacity makes this outfit versatile and usable in every time of the year, with every climate. Special fit for young drivers. Description: This long sleeved top is made with seamless 3D technology, and it?s designed to perfectly adhere to the body. Maximum comfort and freedom guaranteed. The peculiar 3D manufacture is conceived to maximise sweat expulsion. Honeycomb inserts are located in the most critical perspiration points and help eliminate bacteria that cause bad smell. The Q-Skin material is an Italian trademark and guarantee of quality. Specifically, Q-Skin is an antibacterial microfiber with silver ions; it takes care of the skin, offering transpiration, thermoregulation, hygiene and comfort. All this creates an healthy micro-climate that allows the skin to stay warm in the winter and fresh in the summer, and always dry. Insulation capacity makes this outfit versatile and usable in every time of the year, with every climate. 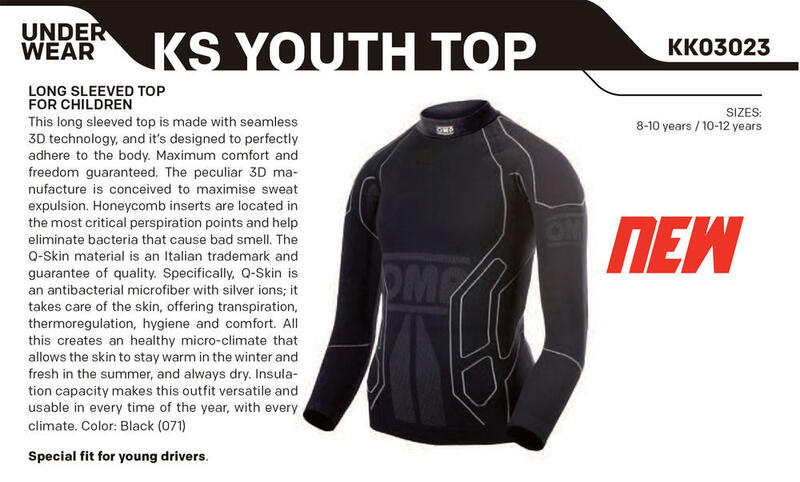 Special fit for young drivers.